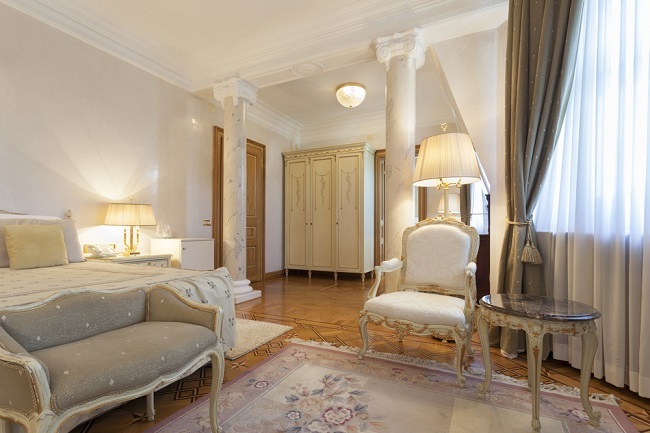 Are you fond of French style bedroom that is usually present in hotel rooms? While on vacation people generally like such bedroom of hotels they visit. If you are also one among them then you can have such room design for your home. Design your bedroom by opting for French bedroom furniture. French provincial bedroom styles add luxury factor to your room and so they are quiet popular. Decorate your bedroom in such style by using colors like pale green, cream, blue, etc. because these are traditional colors used in French interior designing style. In case if you want contemporary look for your bedroom then you need to ask for colors like red, purple, dark gold, etc. selecting furniture with white wash can give amazing French look to the bedroom. Whatever style of furniture you select see to it that you opt for swirly patterns. Main feature of your bedroom is bed and so it needs to be selected carefully. 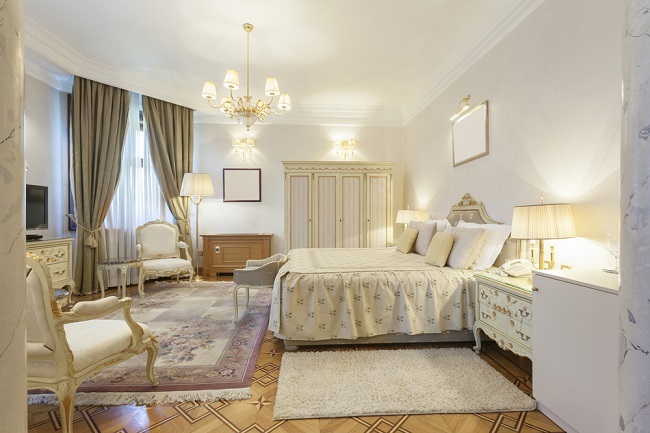 Some of the popular forms of bed styles adopted by interior designers are four poster beds; Louis inspired bed, French oak bed, Upholstered bed, carved bed, etc. Having any of such beds can prove to be perfect option for people dreaming to have French style bedroom. Don’t worry about cost of the bed as you can go online and check out for best product available at best prices. Armoire is the symbol of French provincial bedroom design. Interior designers usually add armoire in your bedroom if you ask them to design it in French style. There are people in French who even store their Television Set in such armoire. It gives a look like art piece that gives palace like look to your room. Mirror with carving border are perfect décor item for French style bedroom. Having full length mirror is advisable when your bedroom is spacious. Functionally of such mirror can be of great use and can also add lot of style to the room. Select French mirror companies by going online that can offer you with new as well as old design of mirrors. In order to save money people use mix and match furniture designs while decorating bedroom. Remember that this fact won’t go well with the French provincial bedroom. Ask your interior designer to take you to the shop that can show you entire set of French style furniture which can match your other bedroom décor. If you need elegant flair in your bedroom then select the right curtains. Many people today consider selecting shutters or Roman shades which might not be perfect option when it comes to designing French provincial bedroom. You can even create canopy by adding curtains over your bed. Bedding should be such that it should look good and it should also offer you with correct feel. Make throw pillows part of your bedding. Make use of tassel trims and search for heavy satins or velvets. Satins and velvets generally add rich look to the French provincial room. Buy bedding material that can be easily washed. These are the few way to décor your bedroom with French provincial furniture. Let’s go to the details for further information about French provincial bedroom furniture.